TYLT Review - Meld iPhone to Your Dash with Capio and RIBBN! RIBBN is a TPU encased snaky sort of flat cable that defies entanglement. Thin car charging cables in my glove box invariably become an entangled nest. The thick and rubbery RIBBN is easy to locate by feel, and rarely creates a snag. 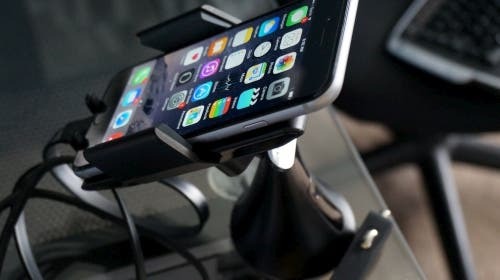 The extra charging port—located on the back of the business end that goes into a standard DC lighter outlet—is perfect for road trips with a large group, as for sure, charging connections will be at a premium. 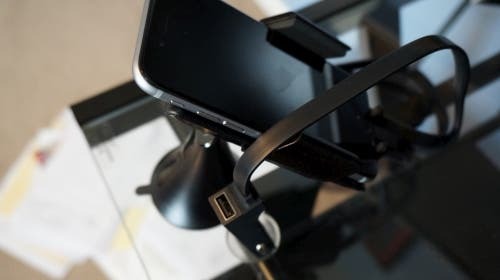 The RIBBN has also been extended to a three-foot length, and with the amped-up output, touted by the vendor to be one of the strongest charging cables around! It charged both my iphone and an iPad during the drive tests (I used it for a full week attached to my dash). We have reviewed both Capio and RIBBN in the past. I had used the previous model Capio in my truck for years until the sticky-gel on the suction base did not seem to adhere anymore (you can run it under hot water to renew it). It would then stay attached for a day or so, and I would come back to my truck to find it laying under the dash. As adjustable car-mounts go, it was a great design, and very affordable. The new model improves on the original by adding adjustable arms and footrest that can be released with a button on the back. 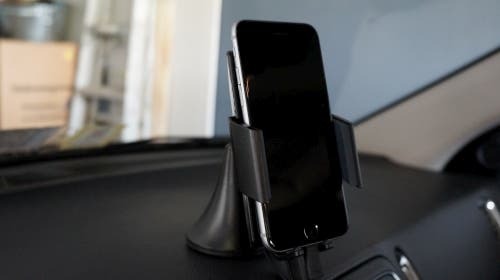 Like the original product, the Capio 2 is a sturdy in-car mount that should stand up to reasonable and normal wear in your vehicle. We had no issues with either product during our tests, but having tested TYLT gear in the past, I am not surprised by this. Both the RIBBN cable and the Capio get our hearty recommendations without reservation. though we are still waiting for a release date (previous models are still available here for $34.99). If I had any feedback, it might simply be to bundle the two products at an added discount.